Being a device that we carry about, smartphones have also metamorphosed into gadgets we take note on. Though their smartphones can be jotted on, many people find it unnatural to create notes using their keyboards. This fact birthed handwriting to text apps. In this article, we are going to explore a list of best handwriting to text apps for Android and iPhones. The pen to print app lets you scan, recognize and converts handwritten notes into digital text that can enables you to, search in and stored on any device or cloud. The pen to print app lets you scan school notes, diaries, meeting notes and protocols, grocery lists, recipes and lots more, converting them to digital text. with it’s in-built OCR (Optical character recognition), the Pen to print app is able to extract handwritten text from scanned documents, turning them into digital text that can be edited. Pen to read, lets you write on your smartphone display, converting the written text into digital text, with selected handwriting. You scribble some letters on your smartphone display and Pen to read guesses the letter and turns it into digital text that is readable. Pen to Read lets you write words by parts, after which it guesses a possible extension and offer options to continue. Google handwriting apps let you create text by scribbling characters in a provided space. It lets you handwrite text on your phone or tablet in 100 languages. The Google handwriting app works with or without a stylus. Google handwriting app also features a library of emojis to spice up your texts. Unlike the Google handwriting input app, my script Nebo requires a stylus pen, it was designed to work effectively with the stylus. My script Nebo turns the screen of your device into a digital note, allowing you to scribble texts, can be formatted. My script Nebo allows users to sync your notes with Google Drive or Dropbox. Exclusive to iOS devices, Note plus is another great handwriting to text app. It lets you scribble letters, that can be formatted into digital texts. Note plus supports about 52 languages. This means that the note plus can recognize letters from languages apart from English. Note plus also features automatic shape detection, allowing to identify shapes drawn. Penultimate is another exclusive iOS app. It converts natural handwriting and sketching, to digital format. It lets you take the class or meeting notes, journal your thoughts and can also outline your best new idea and lots more. Penultimate can be synced to the Evernote app. Designed primarily for the Japanese, Mazec was intended to recognize handwriting, converting them to digital format. It features handwriting Handwriting recognition add-ons for French, German, Italian, Spanish, Russian, Portuguese, Dutch, Polish, English, Chinese (Simplified & Traditional), and Korean. Exclusive on the Android platform, text scanner lets you scan notes, and turn them into digital contents, that can be edited. With its optical recognition system, you rest assured that the text scanner is going to scan all letter in the material. As the name suggests, the Scan and scribe app, lets you scan handwritten notes, converting them to digital notes. Also, the Scan and Scribe apps allow you scribe characters, with your natural handwriting. Scribbled letters can be formatted after creation. The scan scribe app is exclusive to the Android operating system. Last but not least is the handwriting OCR app exclusive on the Google PlayStore. Handwriting OCR recognizes notes, whiteboards, and all forms of texts. 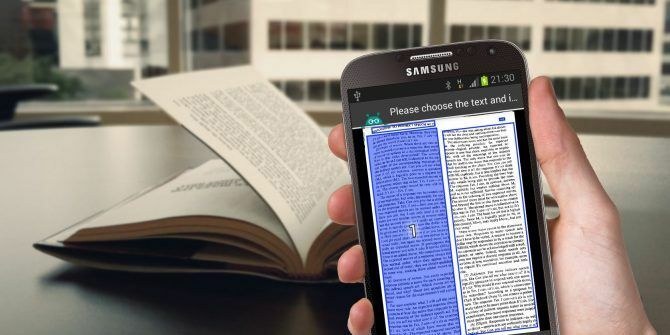 Scanned texts can be converted to digital texts, which can be edited. There you have it guys. You have just been served the list of best handwriting to text apps for both the Android and iOS platforms. As earlier mentioned. These apps will let you mimic the experience on notes, on the display of your device.